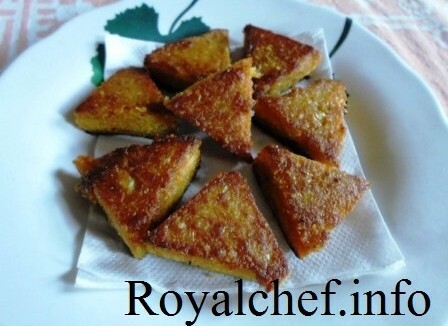 This is a most simple Recipe for preparing crisp and spicy Bangda fry with Chutney. A crispy fried Mackerel dish served with Green Chutney. Clean and cut Bangda from the centre lengthwise and take out the bone. Wash and apply little Salt and Turmeric powder. Keep aside. After that apply grind green Chutney in the centre of the Fish spread like sandwiches. Tie in a string and fry in hot Oil till golden brown.